I like this. I like this a lot. Nice work, Ricoh. 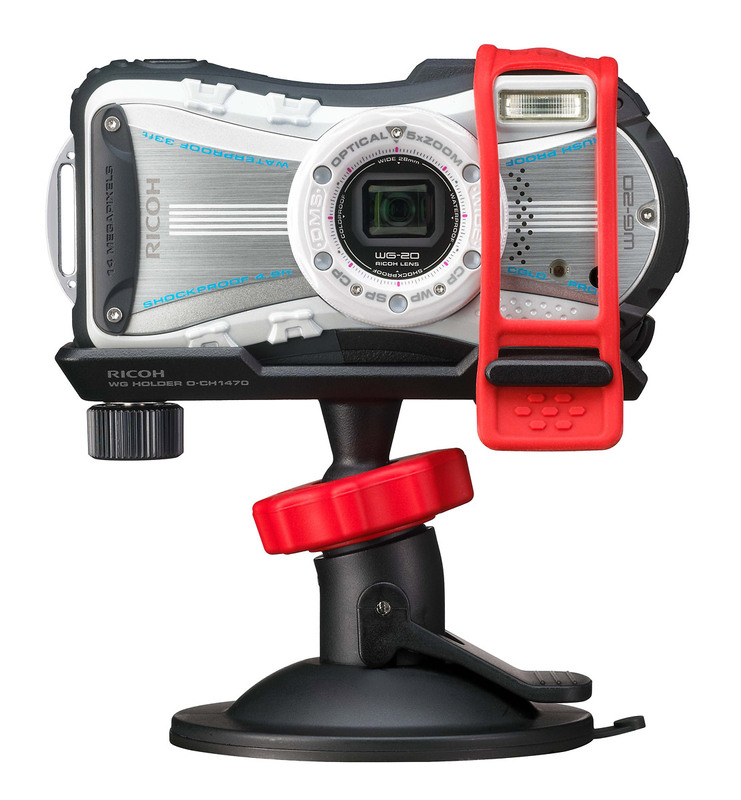 Along with their new rugged outdoor point-and-shoot camera, the WG-4 GPS, Ricoh is introducing a “modular camera mount system” that allows you to use the WG-4 as a POV action camera. 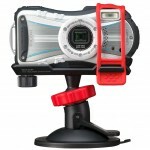 This is a great development for outdoor enthusiasts who’ve had to carry both a POV camera and point-and-shoot, or choose one over the other. Now you can carry one camera and have it all. 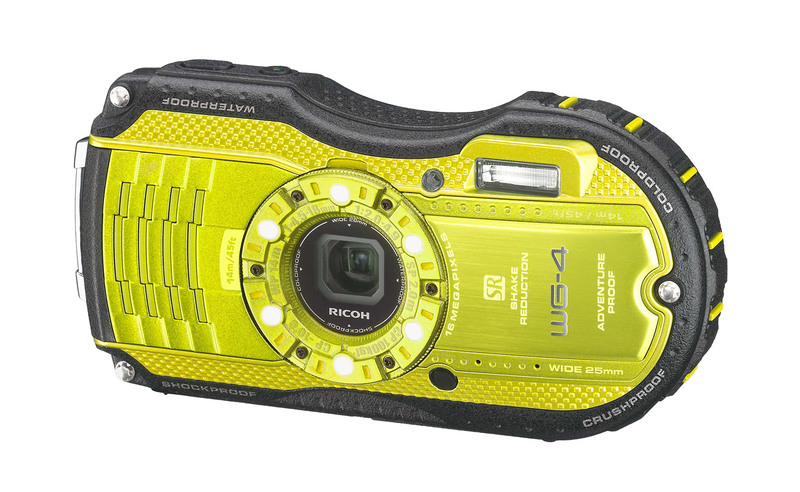 The new 16-megapixel WG-4 GPS is built for outdoor adventure. 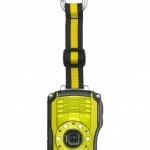 It’s waterproof to 45 feet, it can withstand drops of over 6 feet, it can handle 220 pounds of crushing force and it’s freezeproof down to 14F. 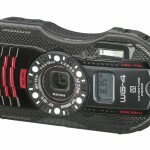 As the name implies, it has built-in GPS with a digital compass. The GPS tags your photos with location data, tells you altitude and underwater depth, and even records track data like a proper dedicated GPS unit. 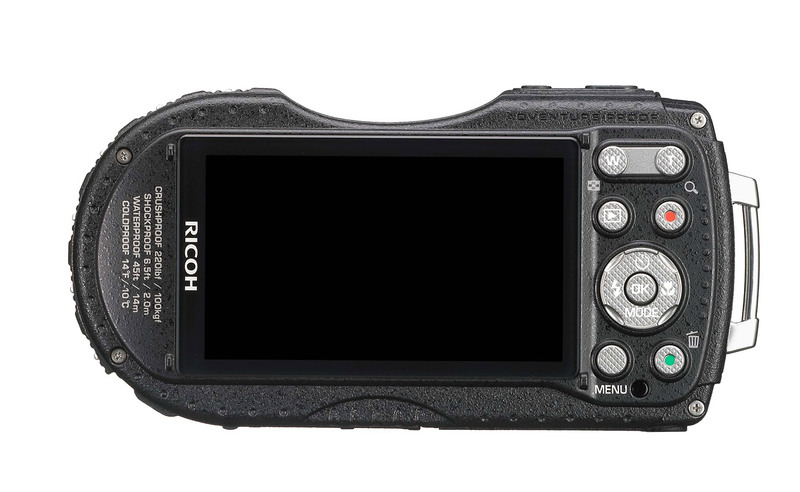 If the Ricoh brand is confusing, that’s because this is the first WG outdoor point-and-shoot to get the Ricoh name. Previously, the WG cameras were under the Pentax name and the WG-4 GPS is the 17th generation of that camera line. 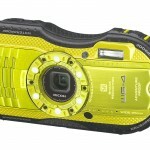 However, Ricoh acquired Pentax in 2011 and is re-branding all compact cameras with the Ricoh name. Digital SLRs, however, will still carry the Pentax name. 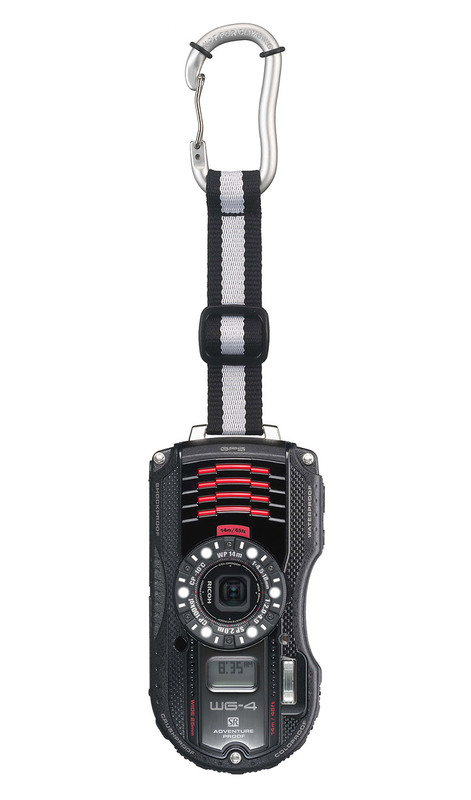 Spec-wise, little has changed with the new WG-4 GPS. 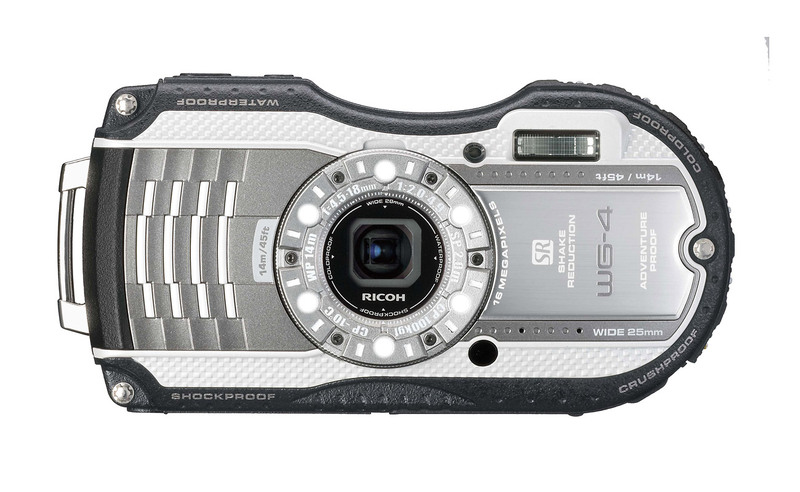 It appears to use the same 16-megapixel backlit CMOS sensor as the WG-3 and the waterproof, shockproof, crushproof and freezeproof ratings are all the same. There is one important change, though. 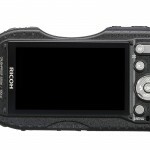 Ricoh added shutter-priority manual exposure control. This makes perfect sense for a camera like the WG-4 GPS, which will be used by lots of outdoor adventurers for all kinds of action photos. 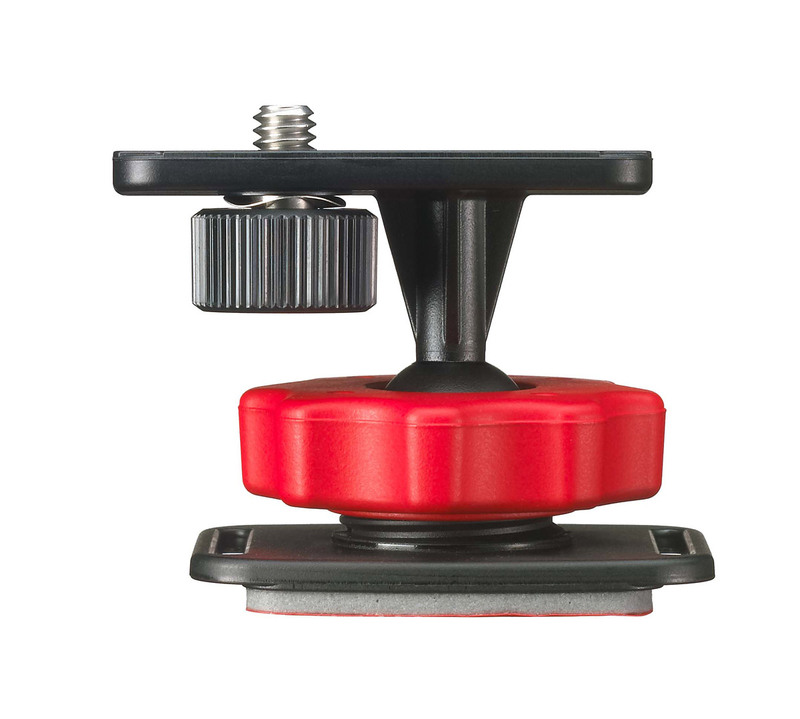 Shutter priority allows you to choose a fast shutter speed to make sure you freeze the action in snowboard, surf, bmx or any other kind of sports photo. It’s a feature that’s been sorely missed with rugged point-and-shoot cameras until very recently. It’s good to see Ricoh bring some manual control to a camera that’s sure to end up in the hands of lots of outdoor action sports junkies. 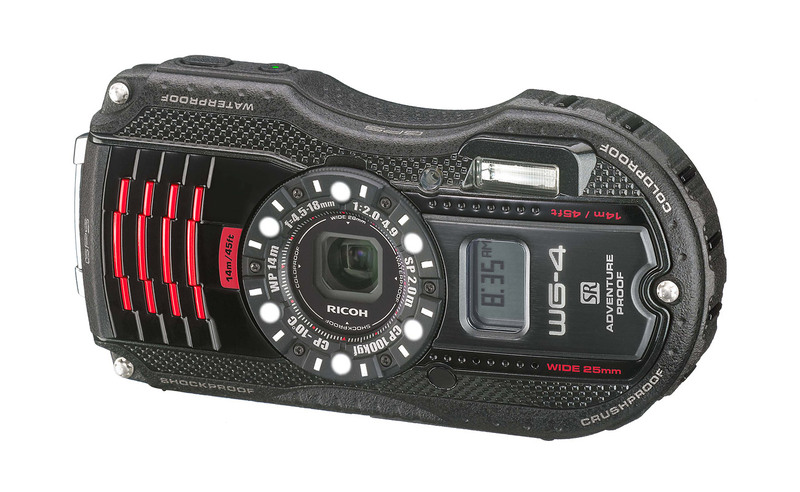 To summarize, the important updates with the new Ricoh WG-4 GPS rugged point-and-shoot camera are the new shutter-priority shooting mode, and the new modular mount system. 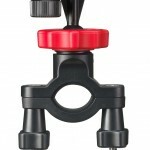 The mount system includes a camera holder and three types of mounts to accommodate different kinds of activities. 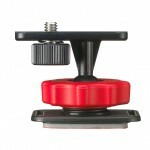 There’s a standard adhesive mount that is commonly used to attach POV cameras to helmets; a handlebar mount for bicycles; and a suction cup mount that can be used on car bodies, windows, etc. 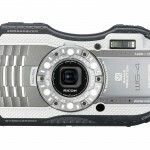 The Ricoh WG-4 doesn’t have the same super-wide view as most POV cameras. 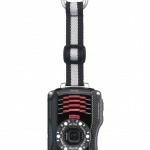 However, it does have optical zoom and that allows you to capture a different perspective than you can with a fixed-lens POV camera. 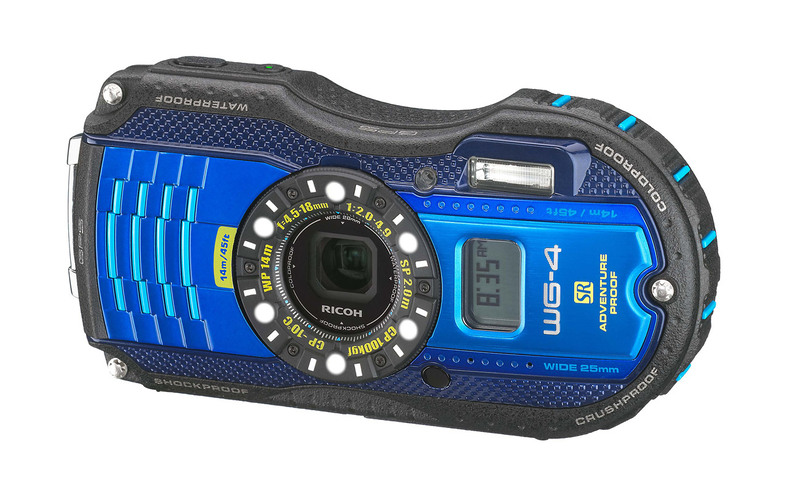 The Ricoh WG-4 GPS will be available in black or blue in March of 2014. 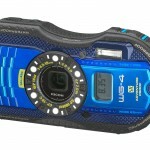 The suggested retail price for the WG-4 GPS is US $379.95. 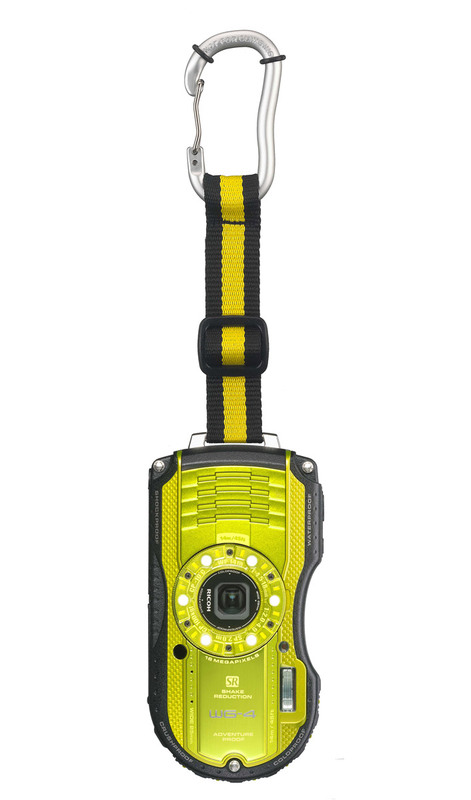 For $50 less ($329.95) you can get the WG-4 without GPS in either silver or “lime yellow.” The mounting system is sold a la carte. 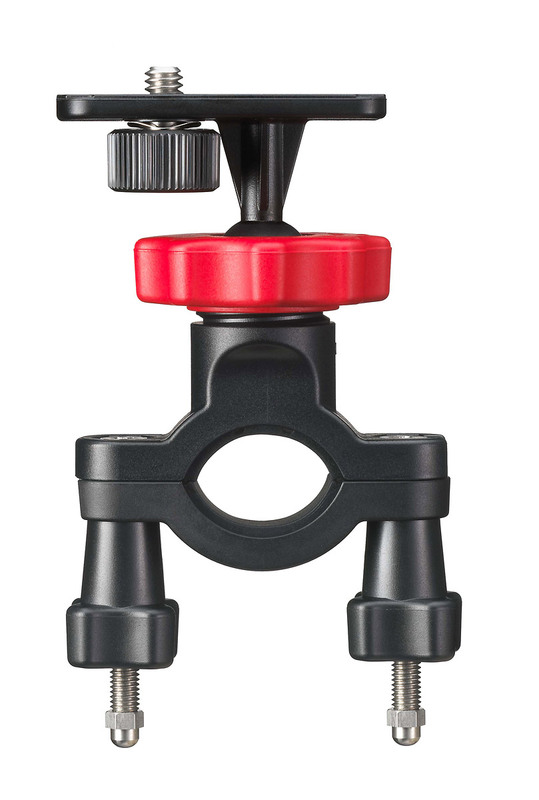 The camera holder costs $19.99, the adhesive helmet mount costs $44.99, the handlebar mount is $39.99 and the Suction cup mount is $42.99.